It’s been a big year at JUNO, and we’ve had great fun bringing you lots of stories on our website. What were our most popular articles of 2018? 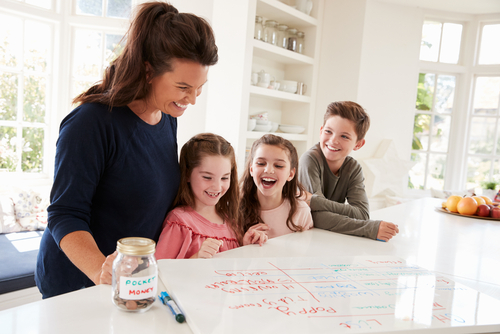 Amy Hamilton Chadwick does the maths on raising a family these days – our most popular article of 2018. Mortgage temptations: More house or more life? It’s tempting to buy a bigger house sometimes, but is it worth it? We weigh up the options. Do you buy a bought coffee every day? If you gave it up, you could save big bucks. Avoid these mistakes and you could have a brighter financial future when you’re older. The fascinating story of some of New Zealand’s richest earners, who are spending all their retirement money too soon. Have you met the $70,000 millionaires? Are you living a lifestyle you can’t afford? Sometimes looks can be deceiving. Dr Pushpa Wood, of Massey University, tackles this tough family issue. Can manuka honey boost your bank balance? JUNO explores the options to invest in manuka honey, one of New Zealand’s prized exports. Should you help pay off your child’s student loan? It’s a tough topic for many families – should you help your child get ahead or pick up the cost yourself? When the government’s KiwiBuild programme opened for applications earlier this year, we showed you how you could enter the ballot. Should you help pay off your child's student loan?